On August 8, Local producers of Cement requested Prime Minister of Georgia Mamuka Bakhtadze and Ministers of Economy and Finances to improve the situation of the local market. According to the statement of 15 local producers, the current situation of the local market creates a chain of problems to them, as the amount of imported cement from the neighboring countries is up, which according to the producers, will stop the cement production in Georgia and thousands of people will lose their jobs. Producers also emphasize the possible negative role of the company "Heidelbergcement," which owns more than 80% of the market. According to them, “Heidelbergcemnet” is the monopolist and can create problems for healthy competition on the local market, adding it is the only company on the local market that owns main raw material for the manufacture of cement. "The practical monopolist of the market should not have the tools to influence prices and that way to get rid of small producers from the market,” the statement says. Local producers of cement believe that "Heidelbergcement" wants the government to prohibit the import of raw materials, and that way stay on the market as an only local producer. The solution that local producers of cement see is to increase taxes on imported cement. "This way we will protect the market and maintain local production. This will create a need for at least 600-700 thousand tons of local production that will have a possibility to satisfy the whole demand of the country. That is the solution we see,” the producers stated. On August 9, Prime Minister Mamuka Bakhtadze made a statement in response to the local cement producers, saying if there is an artificial barrier, the government will intervene and ensure that the principles of fair trade regime are protected. "Our approach is very simple. If there are certain barriers in international trade, for example, if this is not a mirror trading, which means that someone has the right to import, but at the same time, the importing manufacturing country has a certain barrier to export the same products, of course, it needs to be adjusted. We will definitely interfere, and we will regulate if such a problem really stands. As for the international trade, naturally, we are loyal and free. 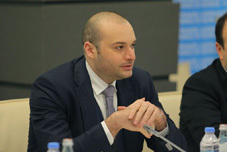 If we have an artificial barrier and we have already had such cases, we will intervene and ensure that the principles of fair trade regime are protected,” said Bakhtadze. According to the statement of the prime minister, it seems that the government is not going to create any regulations for imported cement or local monopolist company; if they do, it will not likely be done to favor small companies.